We cover Northern and Central California, which includes the Bay Area, the East Bay, the Greater Fresno, and the Greater Sacramento regions. Buffalo’s Mechanical has two offices to better serve our clients. Our headquarters is located in Ripon, CA, which is in the Central Valley, and our Bay Area office is located in Campbell, CA. Our company philosophy is simple… provide quality work, on time, and at a competitive price. We specialize in fast track projects and have extensive mall, retail, restaurant, office, and design/build experience. 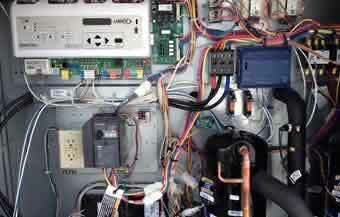 We are a full-service contractor, providing maintenance and service on most HVAC systems. We offer 24-hour service and preventative maintenance packages to keep our client’s equipment running at optimal performance. 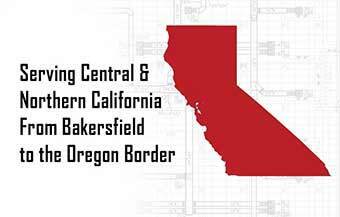 Buffalo’s Mechanical, Inc. is a commercial/industrial Mechanical Contractor serving Northern/Central California by providing quality HVAC construction and service since 1995. Our territory is from Bakersfield through Northern California, which includes The Bay Area, Central California, and Sacramento. Our company philosophy is simple… provide quality work, on time, at a competitive price. We strive to build long-term partnerships with our clients, employees and vendors. We specialize in fast track projects and high-end retail. 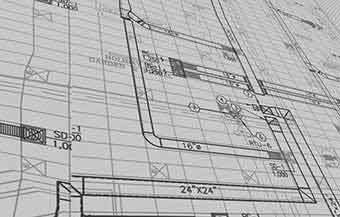 We understand the tough demands of today’s construction projects including fiscal and scheduling demands. We are here to help you to meet those goals. Buffalo’s has two offices to better serve our clients. Our headquarters is located in the Central Valley (Ripon) and our 2nd office is in the Bay Area (Campbell). Click here to read more about Buffalo’s Mechanical, Inc.
Click Here for more recent projects!